Great Western Coffee Shop > All across the Great Western territory > Across the West > New trains from old? Re: New trains from old? Mods ..this presentation is already highlighted in the rumour mill section. And the next contender is ... Eversholt, climbing into bed with Alstom. From Railway gazette. UK: Plans to fit hydrogen fuel cells to redundant electric multiple units were announced by Alstom on May 14. Confirming that ‘hydrogen technologies and solutions will play a key role in our global vision for the future’, the manufacturer said it was working with rolling stock leasing company Eversholt Rail on what it calls ‘the first substantive industry response to the government's challenge to remove diesel rolling stock by 2040’. Alstom and Eversholt Rail are looking to ‘upcycle’ Class 321 EMUs which will be rendered surplus to requirements following the delivery of a complete new rolling stock fleet for the Greater Anglia franchise over the next two years. Described as ‘some of the best proven electric trains on the network’, the four-car Class 321s were built at the former British Rail Engineering Ltd works in York between 1988 and 1991. Eversholt had placed a contract in 2015 for Wabtec to refurbish 30 units under its Renatus programme, and to fit new three-phase traction equipment from Kiepe. The trains would be fitted with hydrogen storage tanks and fuel cells similar to those used on Alstom’s prototype iLint multiple-unit now on test in Germany, for which series orders have already been placed. I suppose that having been (expensively, no doubt) life extended then retired sooner than (Eversholt) expected makes those 321s prime candidates. If nothing else, the new electric boxes should make them more omnivorous when it comes to the juice. How many are going to be done is not clear. Another report made it sound like just a couple initially, but as that was City AM it shouldn't be seen as better informed. Hoping to visit Vivarail later this month to see the new trains. Will report. Vivarail is delighted to announce that it has been chosen as preferred bidder to supply a fleet of Class 230 D-Trains to KeolisAmey for the Wales and Borders franchise. The trains will be the first to come into service as part of the new franchise and will demonstrate KeolisAmey’s commitment to providing new, high quality rolling stock to Welsh passengers. Invest in Railways in Devon and Cornwall! They will feel really at home in the longest single track tunnel in Wales on the Conwy Valley line . And in all seriousness, probably an excellent line for them. Hopefully these trains don’t come with the ‘optional extra’ on train BBQ. Seen a pic of the proposed red and white livery, looks quite good. Had my trip to Long Marston. Saw 230 002 the first three car diesel until for Bedford Bletchley. Also had ride in the new battery powered unit very quite good acceleration. Could be a winner for self contained lines say <30 miles. I think it will depend on the viability of the charger. The plan is for a docking point in the line which the train sits and receives a charge. For safety it is only activated when the train is directly over it. Nice disabled loo in three car, Light and airy interiors. Range of seats and layouts from comfortable to ironing boards. The delivery of Vivarail’s Class 230 trains for the Marston Vale Line is behind schedule due to “technical issues” and will not be ready for their planned December introduction. West Midland Trains and Vivarail released a joint statement saying “both partners have worked tirelessly to bring the trains into service for the December timetable change as scheduled,” but technical issues with the first train had a knock-on effect on the rest, delaying the units. The timetable is due to change on the Marston Vale Line between Bletchley and Bedford in December, with the route forming part of the future East-West Rail service between Oxford, Bedford and eventually Cambridge. Wonder if we'll ever get a quote like Mr. Shooter's from the DfT? I'm looking forward to travelling on one early next year then. Their potential is massive - especially with the new propulsion systems in development - and I hope that the general consensus within this forum that they are a 'good thing' will be realised. I am as yet unsold.The overarching idea of having trains producing no pollution is of course appealing, but I worry about the details. At the moment, trains are driven by diesel, or electricity, with the sole exception of the Stourbridge Junction to Stourbridge Town services. They all use propulsion systems that are proven - and so does the putative hydrogen vehicle. The motive power behind the hydrogen concept is the electric motor, just as it is in the case of the battery powered train, the diesel powered HST and of course the pure electric train. That also applies to the Perry People Mover, apart from the initial flywheel surge from recovered energy whilst breaking. Hydrogen is the most abundant element in the universe, although sadly not on Earth. The prevalence of free hydrogen in the atmosphere is so close to zero as you can get. It is easily produced, though, but at a cost. As a schoolboy, I well remember the many experiments, some of which ended with a loud bang, where hydrogen was produced. Some involved chemical reactions, some electrolysis, but for the money shot demonstrations a cylinder of pre-produced hydrogen was needed. In Bristol's Green Jamboree, a hydrogen powered ferry plied its way through the harbour, fuelled ostensibly from a station with a photovoltaic array, but it vanished within days of the end of the junket, no doubt frisked away to some other green event attended by the same usual suspects. Vivarail and Hoppecke today confirmed that they will be working together to design and integrate batteries for Vivarail’s Class 230 trains. The deal cements the relationship between the two companies for a long-term future in developing battery trains for the UK rail industry. 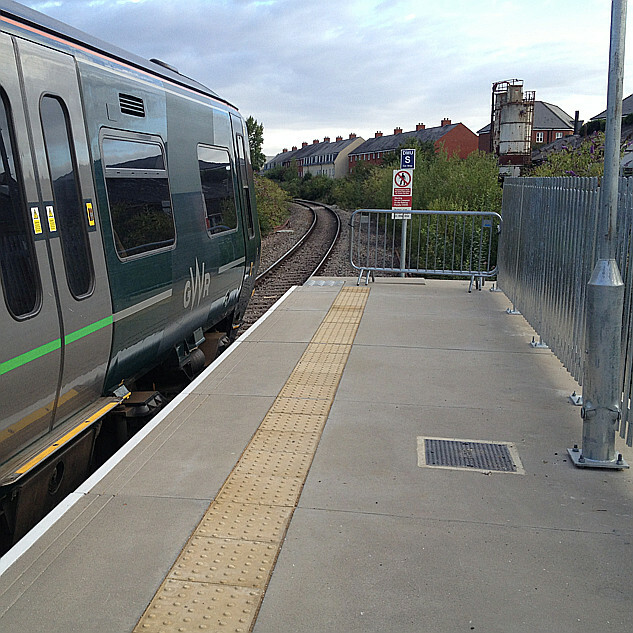 Vivarail launched the UK’s first passenger battery train in the last 50 years in October 2018. The train carried hundreds of passengers over three days of service in Scotland – an event that was supported by Transport Scotland and ScotRail. 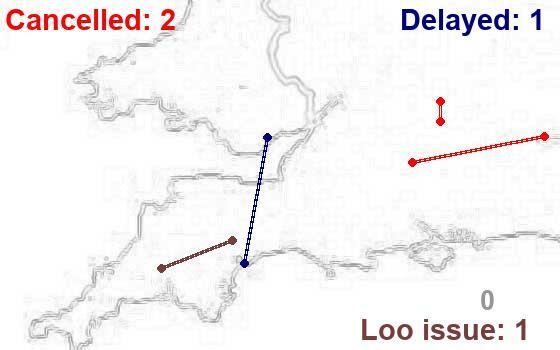 As well as demonstrating that battery trains are ready for service now, new data was collected that allowed Vivarail to assess and confirm performance data on a challenging route with many steep gradients. The train was accompanied by its mobile charging unit which was used for a few hours each night to provide a day’s worth of charge. A 3-car Class 230 can run for 65 miles between charges which means they are more than able to operate numerous routes throughout the UK, and active conversations are taking place with interested operators. Battery trains enable emission-free rail travel in areas where electrification is either non- or only partially existent. The trains are particularly suited to urban routes where authorities wish to eliminate pollution caused by traditional DMUs as well as scenic lines where the natural environment needs protecting. With the stated desire of the Government to phase out diesel trains by 2040 Vivarail’s Class 230 is a next generation train already proven for today. The 65 mile range exceeds the expectations of many and shows how Vivarail is leading the market with the only battery train available today in the UK. Currently Vivarail is building a fleet of diesel/battery hybrids to operate the Wrexham-Bidston line for Transport for Wales, where the diesel gensets will be used to charge the batteries not to power the train. This power variant gives the range of a diesel train, the performance of an EMU (with acceleration of 1m p/s/s up to 40 miles per hour) and combines it with emission-free travel. As well as using the genset to charge the batteries the train also has regenerative braking – as do all the battery trains. Designs for other types of hybrid trains exist including the use of existing OHL with a pantograph and transformer and 3rd rail with shoegear. Additionally, a new hydrogen variant is being developed which, similarly to the diesel hybrid, will exceed the pure battery train’s range of 65 miles. Hoppecke’s Lithium Ion batteries are ideally suited for the Class 230s by providing the rapid charging needed for battery trains. Simulations and performance data show that many non-electrified routes can be operated by the Class 230 battery trains and to make this possible in the short-term Vivarail has designed and patented an automatic charging system and battery bank. This means that costs of both infrastructure upgrades and daily operation are hugely minimised – in some cases by millions of pounds. Hoppecke are very much an established industrial battery supplier, so that's mainly Lead acid and Nicads. That might seem an odd choice, rather than a lithium specialist, but that may be good for Vivarail. Solid German (Mittelstand) engineering might be conservative, but Vivarail probably can't supply that expertise themselves.